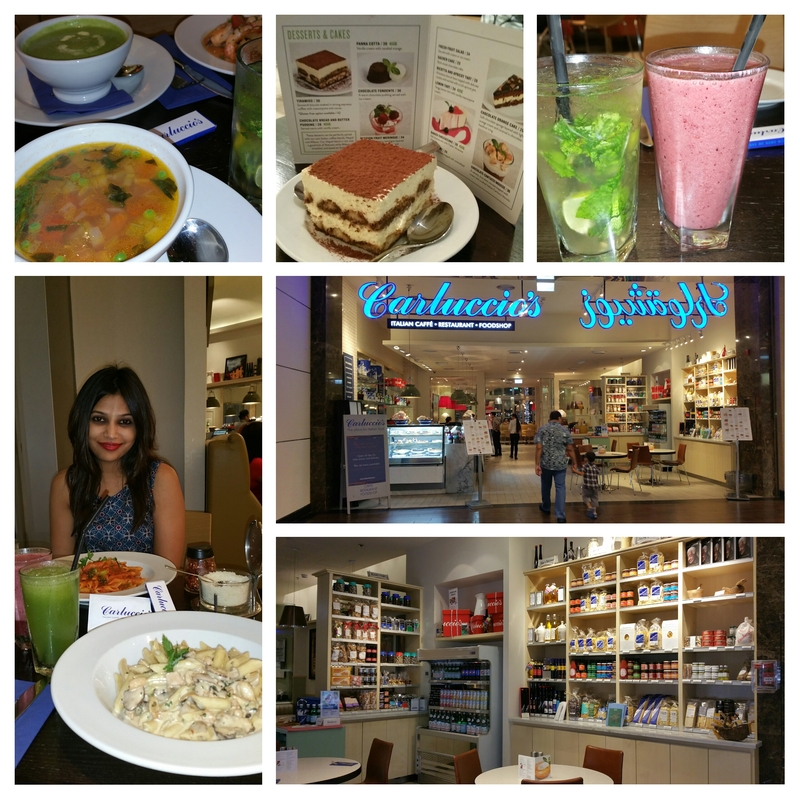 Carluccio’s at Dubai Mall is a family restaurant where along with delicious food one can enjoy the view of magnificent Dubai Fountain with indoor and outdoor sitting choice. 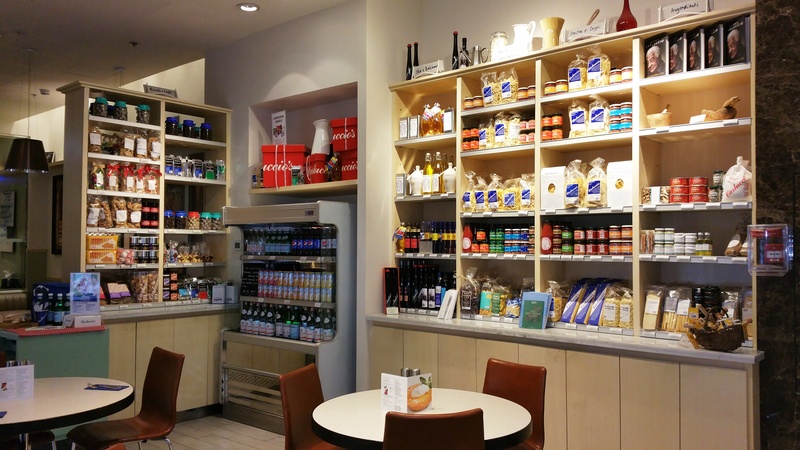 It’s not just a café/ restaurant but also a food shop that offers a range of specially imported products from Italy to give it the authentic taste of Italy to this region. 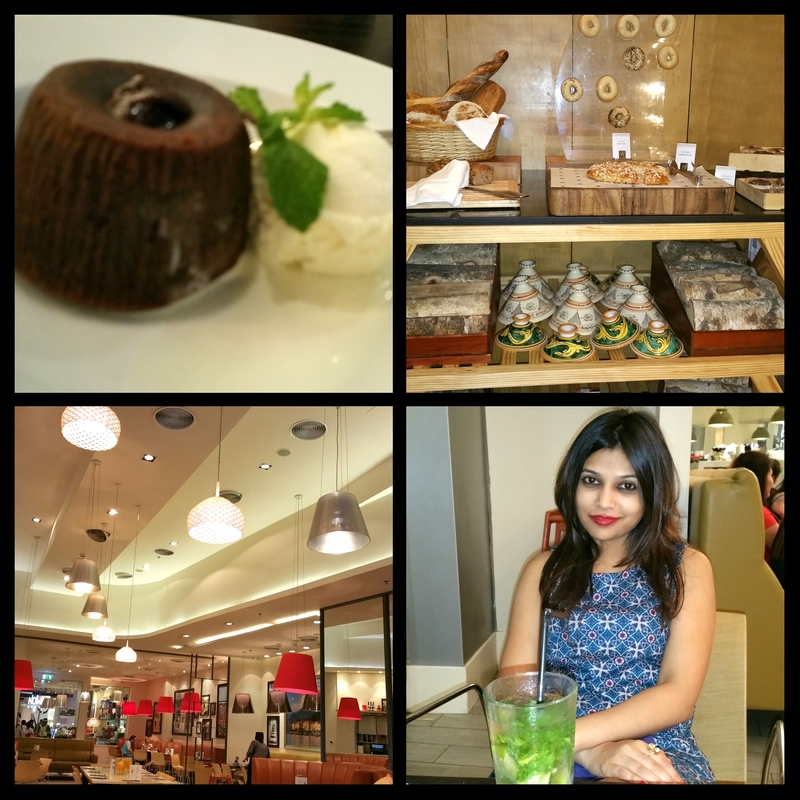 We scrupulously enjoyed the ambience and the freshly made pastas. The staff mentioned that the Chef’s at Carluccio’s make all the food in-house. The restaurant is well known for its pastas, pizzas, classic Italian desserts, fresh salads, and Antipasti. They have an extensive menu that offers a wide range of choices . We started with the traditional Minestrone soup and creamy Broccoli soup served with parmesan croutons. Both were quite nice. I enjoyed the Penne Arrabiata (served with spicy sauce of tomatoes, chili and garlic) while my partner savored the Mushroom Pappardelle (pasta ribbons served with a sauce of shiitake, oyster and button mushrooms). We did not have the appetite to eat the pizza but for sure I am going to try that out soon. For dessert we loved the delectable Tiramisu and Chocolate Fondente (warm pudding served with ice-cream). My favorite mocktails from the menu are Fresh Minted lemonade, Apple Mojito and Mixed Berries Smootie. A nice dinner with mocktails will cost between AED 250 to AED 300. Locations: Founded by Antonio, this authentic Italian casual dining café is present in three locations in Abu Dhabi at The Galleria, the Eastern Mangroves and Yas Mall and seven locations in Dubai viz., Boardwalk – Dubai Mall, JBR The Walk, Mirdif City Centre, Dubai Marina Mall, Dubai Airport Terminal 3, Deira City Centre and Ibn Batuta Mall. 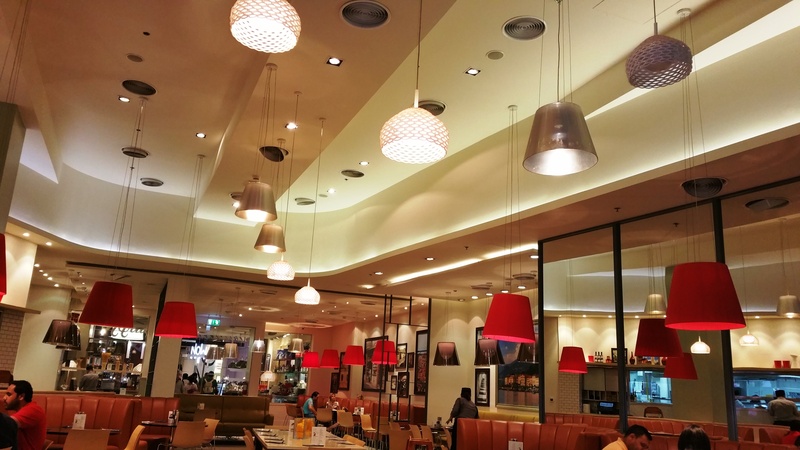 Carluccio’s also made its first venture further afield in the GCC in late 2010, opening an outlet in Doha, Qatar. Give it a try Readers!